Today I come with unbelievable, tremendous news-probably one of the best things that has ever happened to this blog so far. K: What makes a good outfit? M: I believe confidence makes a good outfit. Anyone can put together a look but to really wear it you have to feel empowered by it. K: Who should judge fashion, if anyone? M: I go by the motto that there are no rules in fashion, therefore I don’t believe any one’s opinion is more significant than others. K: Is fashion closer to reality or imagination? M: The beautiful essence of fashion is that it is both reality and imagination. You can create or wear whatever you choose, but actually making the clothes, actually putting the pieces of an outfit together, that is true reality. K: What were you like when you were my age(17)? M: At age 17 I was strongly influenced by the arts and film. I wasn’t as into fashion as I am now but I knew I wanted to work in the film industry in some capacity. I grew up in a fairly small town in Southern California and I knew there was something much bigger for me out there. K: What’s your personal fashion style? M: My personal fashion style is quite eclectic. I think it changes daily depending on where I’m going, what I’m doing, and who I’m surrounding myself around. I definitely have a laid back California vibe at heart but I think the five years I spent in NYC influenced my style in a more structured way. If I had to term my style I would say I’m a Romantic Modernist. K: Have you ever been to South Korea? Do you have any experiences or anecdotes related to South Korea? M: I have been to South Korea and I am actually very much tied to the Korean culture. Both my Brother and my Sister are adopted from Korea and my entire family visited Seoul for a week in 1994. I remember being in awe by the amount of people everywhere, and I think the Korean people were in awe of my long blonde hair! But I would say the biggest way Korean culture is still part of my life is the food. We grew up constantly seeking out Korean restaurants and I still do. I love Korean food. K: What are the privileges and downsides of being a costume designer? M: There are many privileges of being a costume designer… you get to travel, meet interesting producers, directors, actors, and vendors. The research and the inspirations are always fun. And most importantly you get to constantly create. I would say the downsides could sometimes be the long hours you have to put in. And sometimes managing an entire department can be a challenge. K: These days, many people in the fashion/entertainment/broadcasting industry are branching out to other areas of expertise. Are you only devoted to being a costume designer or do/will you do other things like writing, directing, or acting? M: I have always enjoyed all facets of film making. I wrote and directed a short film in 2009 which was quite the adventure. I wouldn’t rule out that someday I would give it another shot. I also am interested in the other possibilities brought on by designing. A Reign line would be amazing. K: What is it like to work in the costume department? Describe the typical costume department scene -is it really hectic and busy or is everything always organized and ready for the actors/actresses to wear? M: I like to call the costume department “organized chaos”. You always try to be one step ahead but there are constant surprises throughout the day and you just have to go with it. Zippers break on set, actors spill on their costumes, fittings get canceled, meetings get pushed. It’s all part of the hustle. 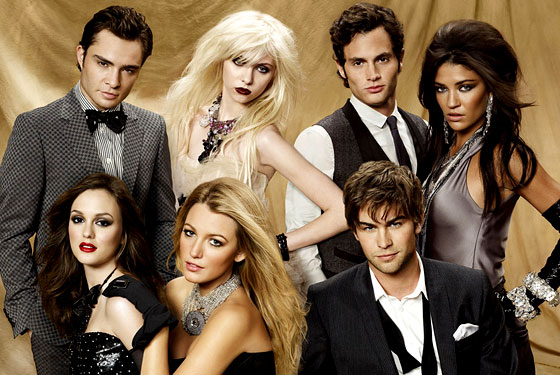 K: What was your favorite or most memorable outfit so far from Gossip Girl? M: My most memorable look from GG was the yellow Ralph Lauren gown Serena wore in Season1. It was truly stunning. K: What was working with Eric Daman like? M: Eric Daman taught me quite a lot. He has such a keen eye and a great flare for accessorizing. K: In your honest opinion, what was the worst outfit on Hart of Dixie so far? I’m curious about your opinion. M: I can’t recall the worst outfit on Dixie but I do remember there being some seriously sketchy pirate looks in Planksgiving. K: Many people try to copy outfits and styles that they see on TV shows. Do you see this as a good thing or a bad thing? M: I think being inspired by looks on TV shows is great. You have to remember though that TV shows (usually) have big budgets and can afford to be constantly shopping and bringing in new pieces. That doesn’t mean you have to. You can achieve the same kind of style within your own wardrobe or making new pieces, or even going to the thrift stores to shop. When I was a teenager I would constantly scour the thrift stores and be inspired by vintage pieces. K: What happens when your opinion on an outfit clashes with the opinion of the actor/actress wearing the outfit? Did this ever happen on Hart of Dixie? M: There will always be different opinions- between the writers, producers, directors, actors. You have to take all of it with a grain of salt. I do feel though that if an actor strongly dislikes something to the point it’s going to make them self conscience on camera, that’s not a good thing and I’ll go ahead and change what they’re un-comfortable with. K: Is it harder to put costumes together for Reign (since it’s not based on a modern background)? 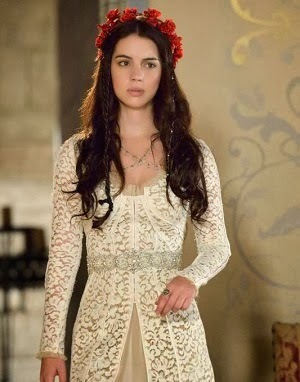 M: Now that we’ve established our “look” of Reign, it’s no harder putting together looks than on a contemporary show. The only difference is you can’t run to the mall to find what you’re looking for. You have to make it! M: My advice for people looking to get into the costuming world would be to go to school and get a part time job that somehow relates to the industry. Even if that means working at your local theater or helping out in a fabric shop. All those experiences will educate you in the end. And you don’t have to go to fashion school- I didn’t. I studied film and learnt about costuming on the field so to speak. Did you enjoy this interview? Comment below and tell me what you thought. You can leave interview requests, and I’ll try my best to set up an interview with the person you requested. Ah! This was great. It’s really great to hear that she believes there is no true judgement on fashion. Though I have my own opinions on what looks good or not to me, I would never judge someone’s style as lesser than anyone else’s. It’s great to hear that you were able to interview one of your favorite designers. The fact that she was so willing seems like she’s a really great person as well. Hi! I’m so sorry that I took this long to reply. I think I slipped by it on my dashboard. Thank you for visiting my blog and sharing your thoughts! Yes, Ms. Meredith really seemed like an amazing person. She’s also so talented and creative with her designs. I really respect her, and getting to interview her one-on-one was one of the best experiences of my 17 years of life! : D Thank you again for coming and reading my post! 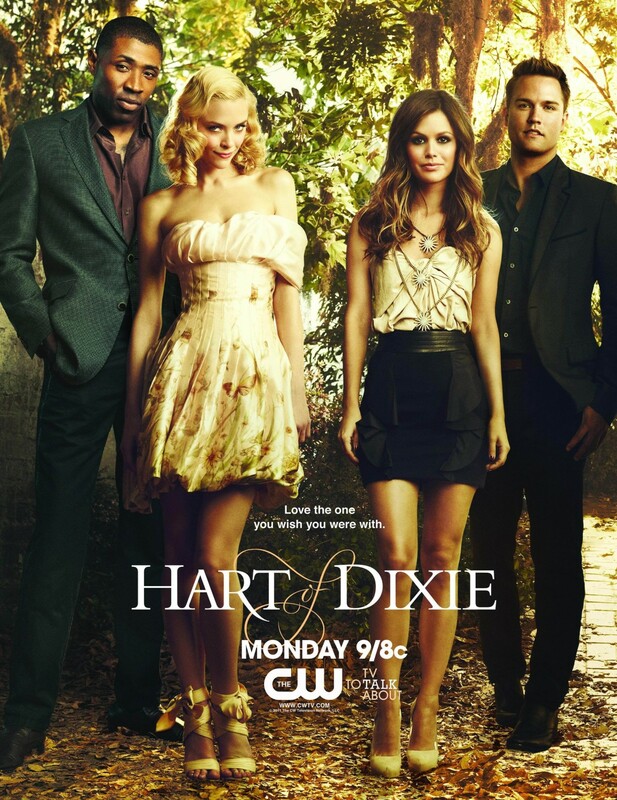 I love the girls’ outfits in the Hart of Dixie poster 🙂 Did Ms.Meredith put that together? She probably did, but I didn’t get the chance to ask her specifically about the poster. The outfits are truly amazing, especially Lemon’s!